Erector sets are the best toys to keep little engineering minds busy. They offer the stimulation that kids need to help grow their problem-solving skills and also build their analytical thinking. 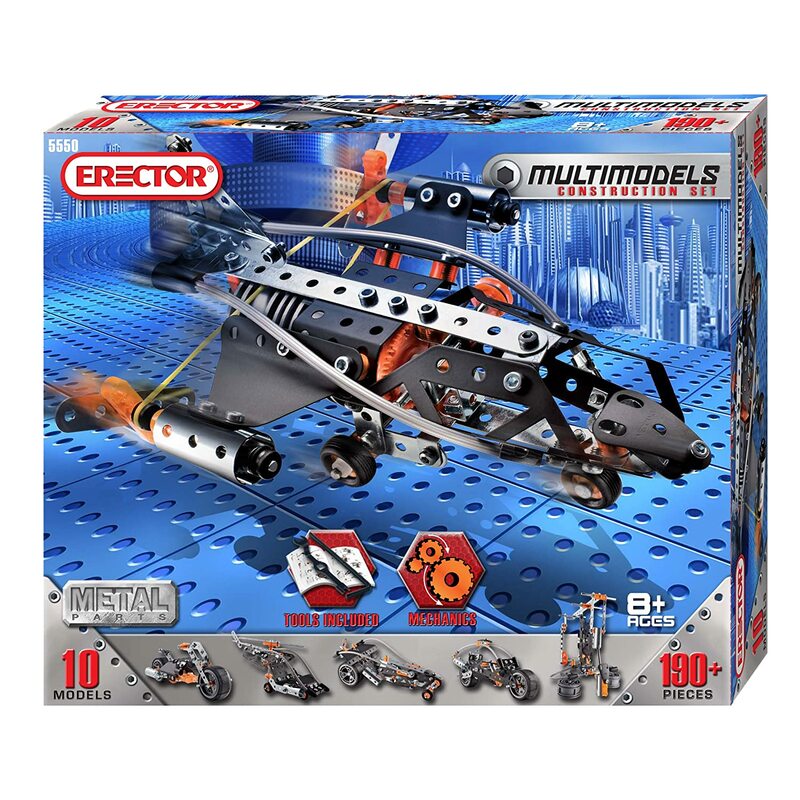 Erector sets are built up of lots of little pieces that fit together in a certain way to ultimately create a masterpiece at the end. While these may seem a little challenging to us, our kids are more than capable of tackling the task at hand and will really enjoy the challenge. 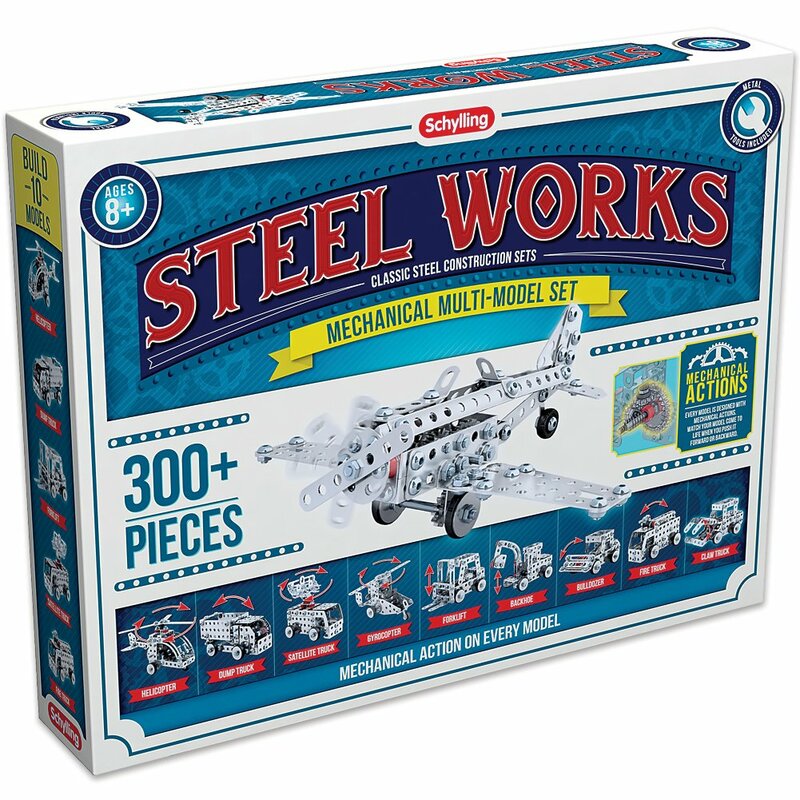 Whether your kids love puzzles, building things or even if they are having a hard time focusing on other tasks, an erector set will keep them busy, entertained and learning all at once. 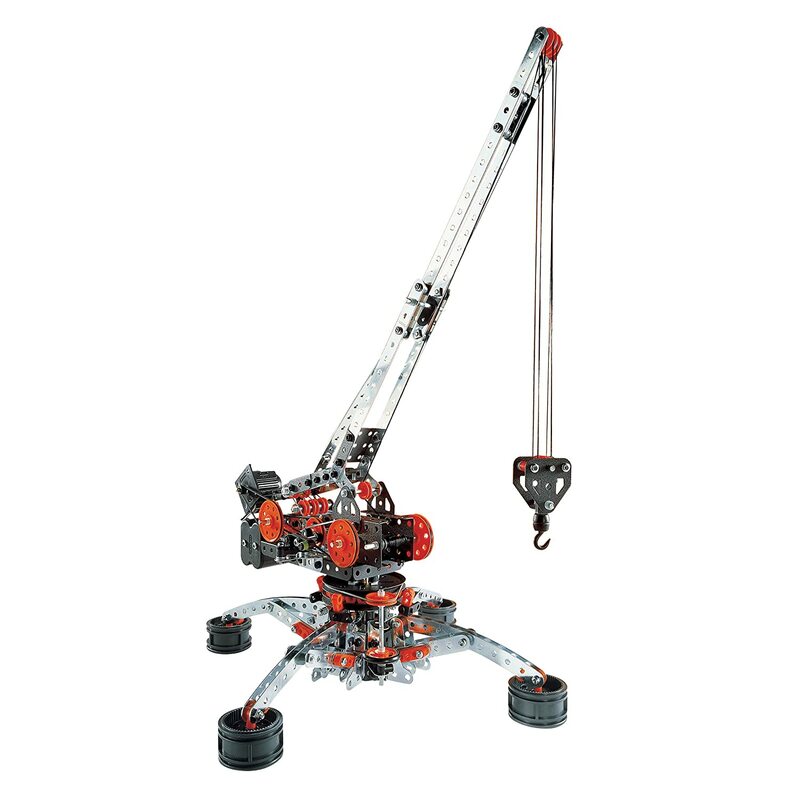 It is important to make sure you are buying a good erector set that caters to your child’s age. Too easy and it will be boring, too difficult and it will put them off. A good erector set has pieces that fit together easily and securely, and handy instructions to go along with it. 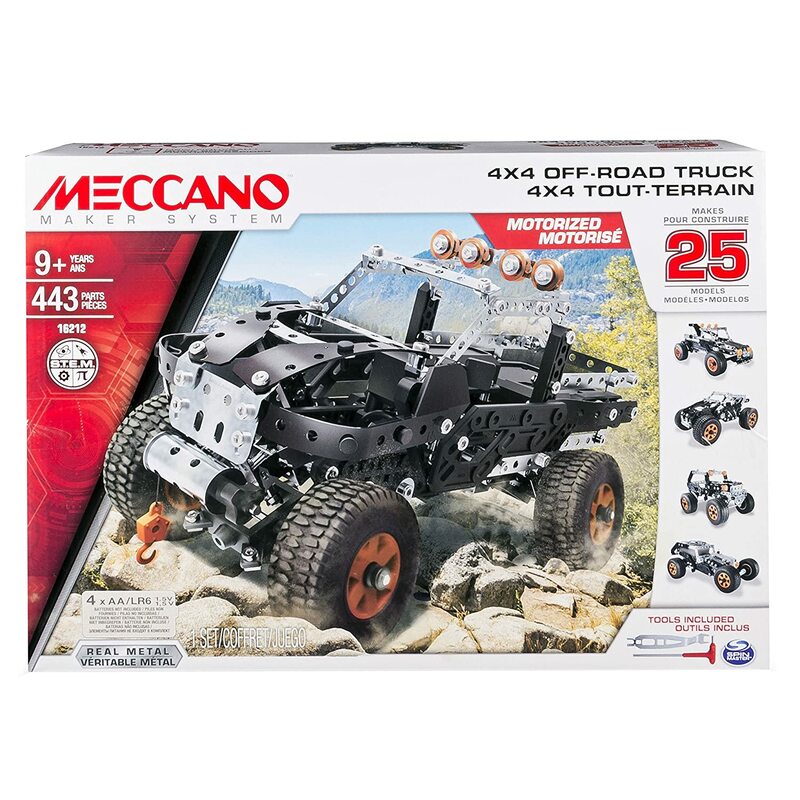 The Meccano Off-Road truck set is really one for the boys. The Roadster is just one set but can be built in five different ways. Their imagination can run wild while experimenting with the different builds. The set comes with a set of tools and real metal bolts, nuts, and wheels. Once it is built, the pullback mechanism allows it to drive away. It needs batteries for the electrical motor and is for kids aged 8 and up. 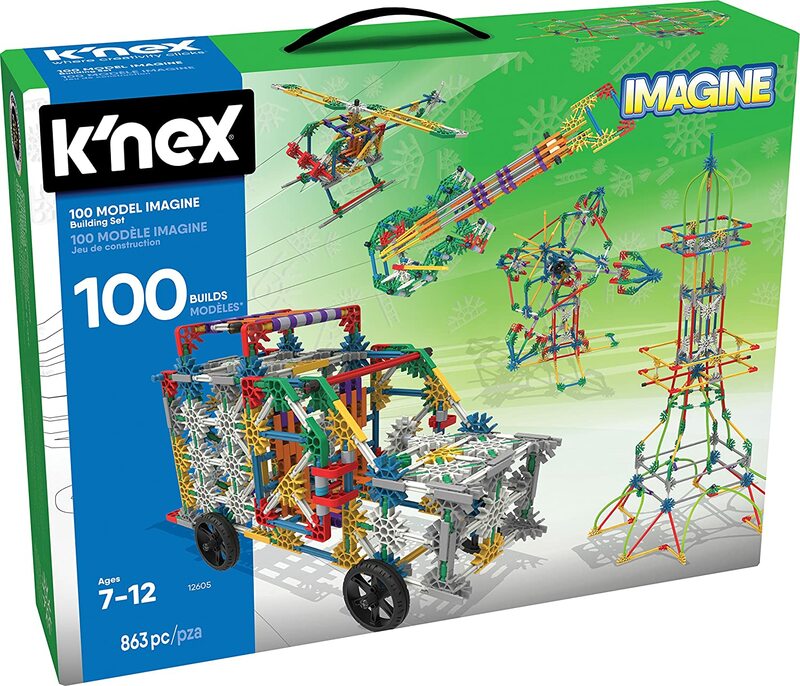 This 863 classic piece set includes all K’NEX rods and connectors. Every piece can be connected in a different way. Your child can explore endless building opportunities and they can create unique structures, shapes, and figures. The pieces fit together wonderfully and can be taken apart easily as well. The models that are created can actually move around while connected. This adds even more fun to the pieces that are built! Pack it all away in the convenient storage box when playtime is over. This Erector set comes with actual metal parts. There are various movement abilities and plenty of creative engineering to be had. Racers, bikes, helicopters, planes and many more other models can be made using this set. It has 190 pieces and can build one model at a time. It is one of the best quality sets around and has a detailed construction manual to help facilitate building. The 300 piece set can be constructed into countless mechanical figures and the end products can be played with like normal push toys. There are 10 models to be made that are included in the construction manual and each have a unique movement feature. Unique engineering at its finest. Give your kid something a little different and help them create their own construction cranes and windmills with this set. There are 3 Eitech models to be built and all the pieces are durable, polished German steel. There are over 270 pieces in the set and there is an easy to read instruction manual as well. This will definitely be one of your kids favorites. Build a T-Rex with the erector pieces, and watch it transform into a programmable robot that actually interacts. It will respond to petting, stomps around and can even answer yes or no questions. Meccasaur will roar at any attackers and at 3 feet long he can be quite scary! 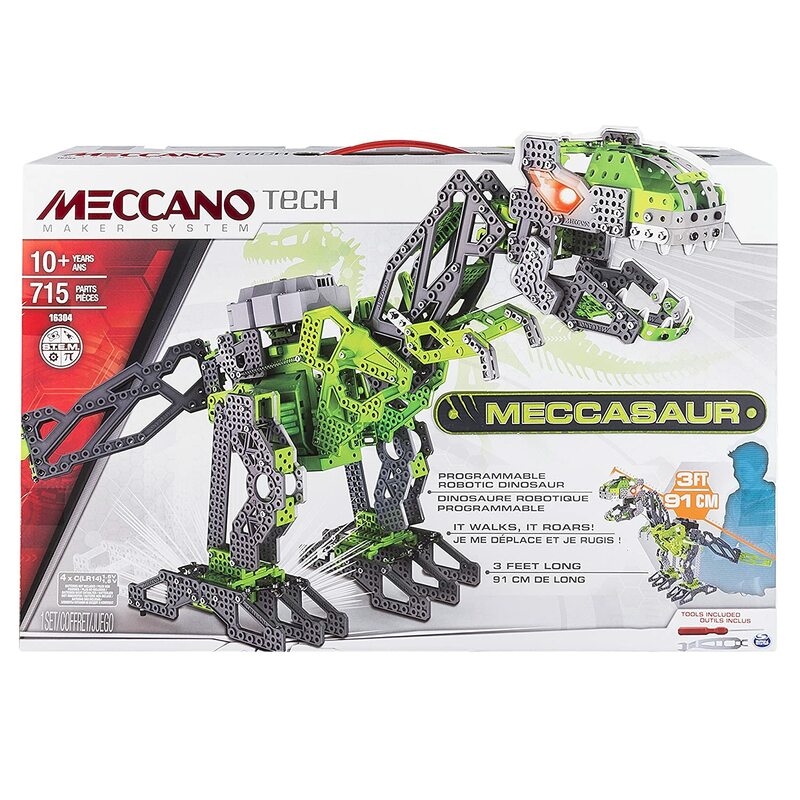 The Meccasaur is best suited to kids aged ten and up. Budding architects will just adore this. 961 pieces will create the famous Empire state building. It comes with all the tools needed for construction and the special components help finish it off to be a real collectors piece. Simply add it to other Erector sets when your kid no longer wants to use it as is. Young builders will love this set. Just this one set can create up to 25 construction vehicles! 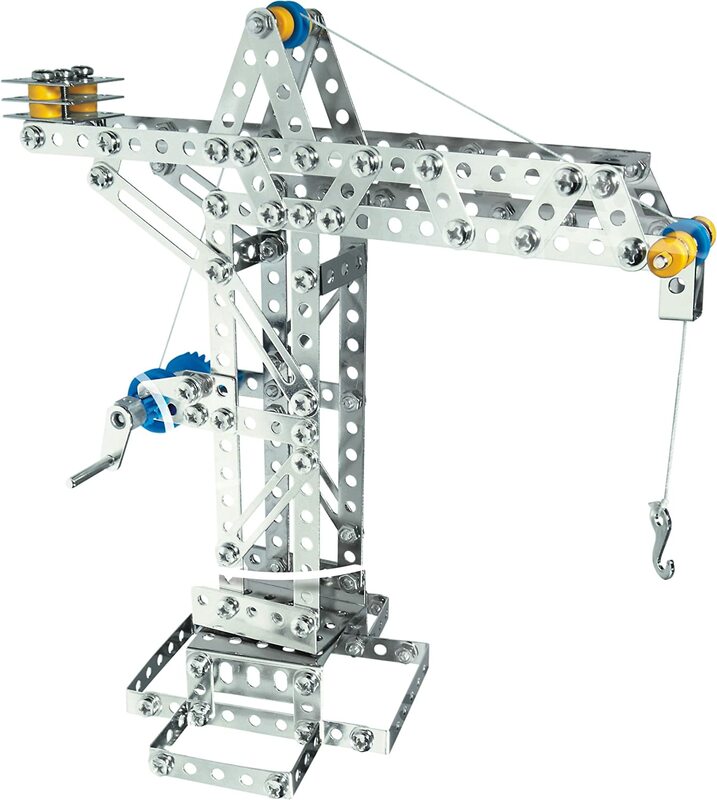 The crane model can be motorized and used like a real life construction crane. The rotary body and extendable hook really give it the extra bit of fun. Inside the set are 640 pieces, including a 6V motor and a carry case with storage compartments, 2 tools and a detail instruction sheet. Something for the younger builders. This plastic set is perfect for a budding engineer, who isn’t quite ready to head over to the bigger sets yet. It comes with 97 pieces that screw in and fit together. The shapes allow kids to build 2D and 3D shapes, catering to wherever their imagination may take them. Keep the kids busy the right way. 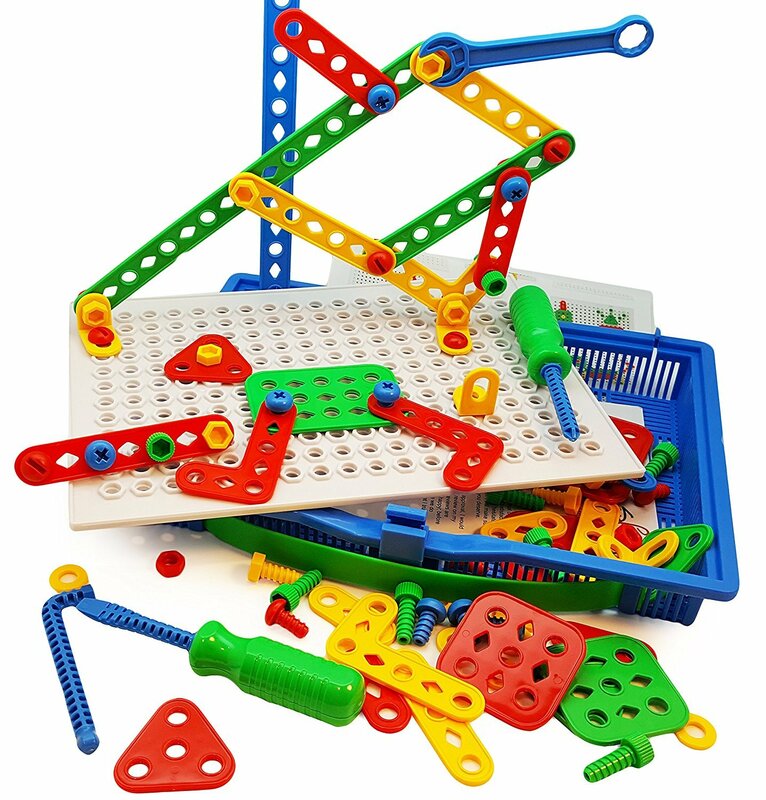 Stimulate their puzzle building and problem-solving skills with an age-appropriate erector set. Let them build anything they can think of and have them experiment with the motorized parts if that is what they enjoy. 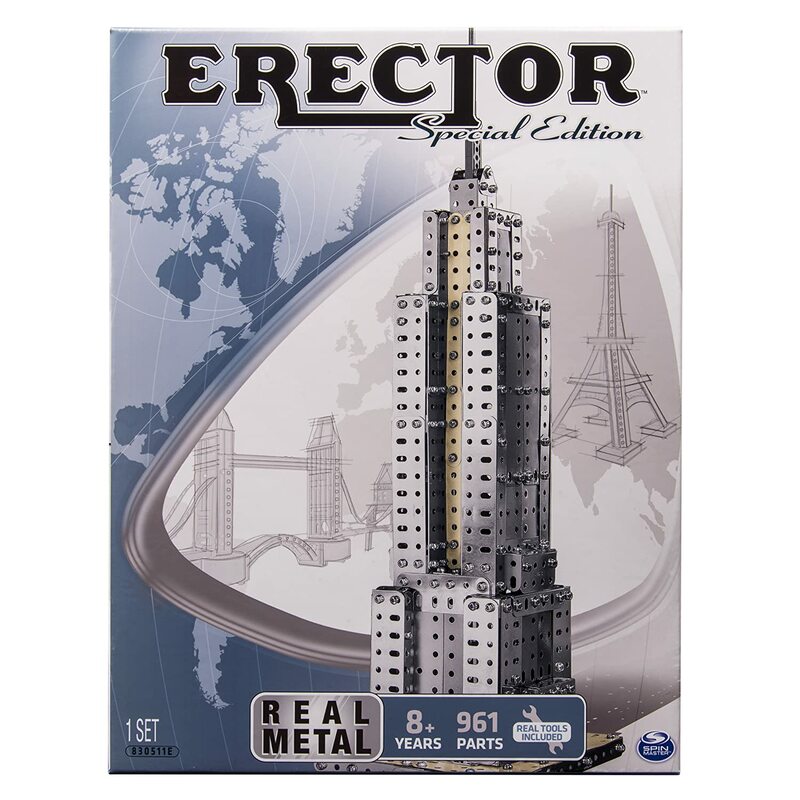 Erector sets are the best, most stimulating way to keep little builders entertained.